A family friend recently moved back to Toronto and is living in Liberty Village. Our catch up date was the perfect opportunity to check out Porzia, which has been on my restaurant wishlist for over a year now. I always need a lot of motivation to make the trek to Parkdale but so far, every trip has been worth it. 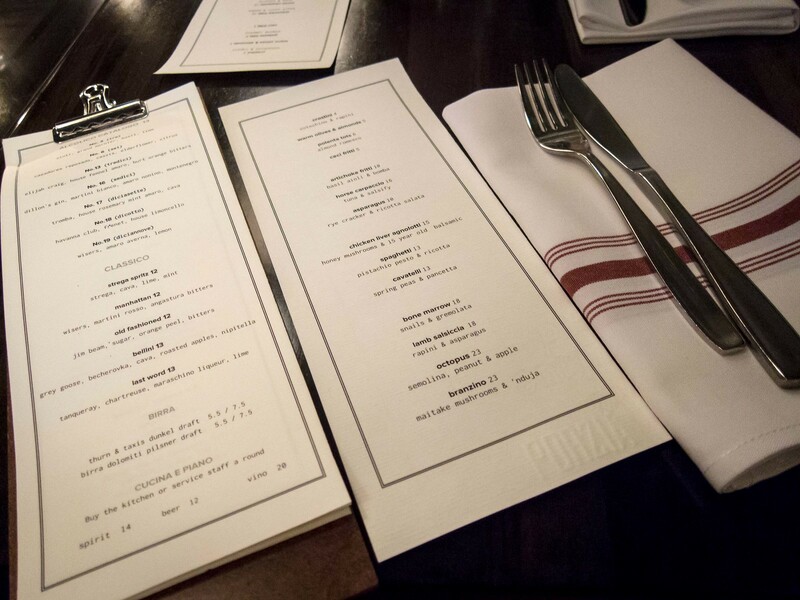 Atmosphere: I stopped by Porzia on a Monday night to take advantage of their fixed price menu and ½ priced bottles of wine. 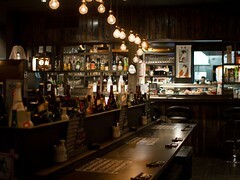 The restaurant was softly lit and buzzed with conversation providing a cozy feel. Since it was a Monday night, the pace was relaxed and it was the perfect atmosphere for a long conversation over great food. We lingered for a good two hours with our wine. Bar stools are lined along the bar. A long bench runs along the opposite wall and tables are well spaced out. Service: As is often the case, I was running late. Walking into Porzia, the hostess directed me to the table where my friend was already patiently waiting. 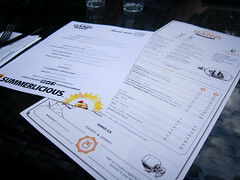 Our server gave us plenty of time to peruse the menu and explained how the fixed price menu worked. Based on our order and tastes, she offered a great wine recommendation that we both enjoyed. The service was very friendly and professional. Food: The Monday night deal is a total steal. For $33 you get an appetizer, a pasta and a main course. For two people ordering, the pasta is a larger shared portion. 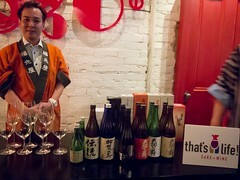 I’m sure I’ve already mentioned the ½ priced bottles of wine, all bottles of wine. Between the two of us, we shared the Artichoke Fritti ($10), Horse Carpaccio ($16), Cavatelli ($13 x2), Bone Marrow ($18) and Octopus ($23). The meal would have been $93 a la cart vs. $66. To start, the portions were small. 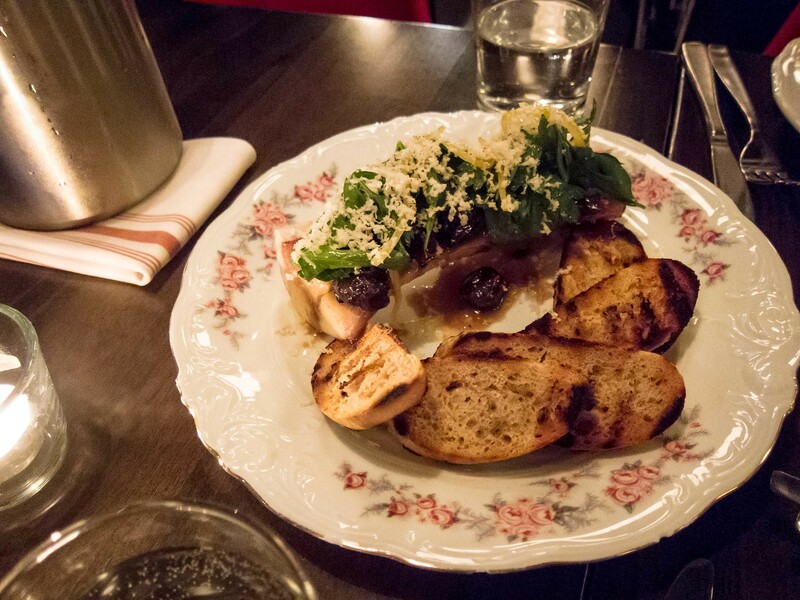 Each dish was beautifully plated on gorgeous floral tableware but if you’re seriously hungry, you’ll need to order quite a few dishes to fill up. I was happily full at the end of our meal but I feel like The Fiance would’ve still been peckish. Our two starters set a great tone for the meal. 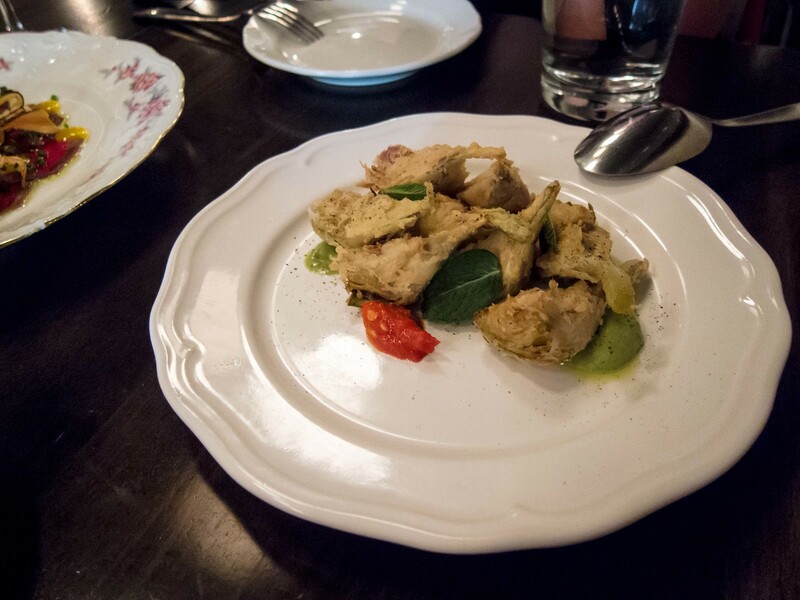 The artichoke hearts was lightly battered, fried, sprinkled with salt and pepper and served with a basil aioli. Biting into each piece, every layer was crispy. 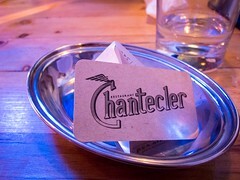 With the horse carpaccio, the flavour was more gamey than beef but I wouldn’t have known a difference if I wasn’t told. The slices were thin and had been lightly seared on the outside. 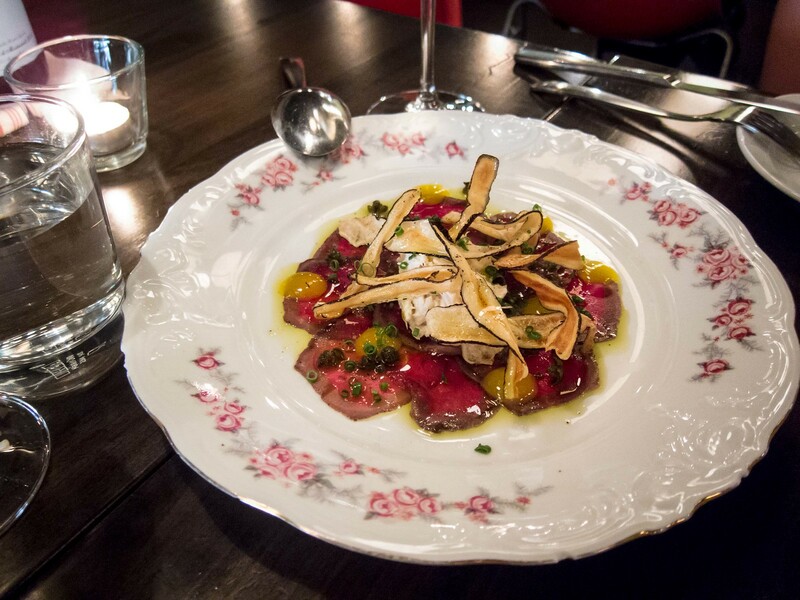 Served with fried slices of salsify and a flakey tuna added layers of texture to the dish, colour to the plating and mild flavours to balance the boldness of the horse. 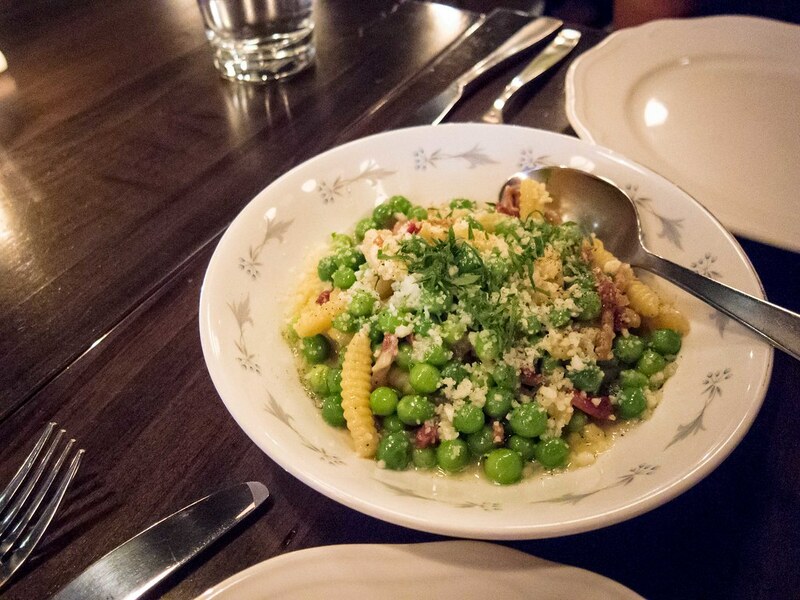 The cavatelli with fresh spring peas and pancetta was one of my favourites of the night. The peas were plump and fresh, the pancetta was juicy and the whole dish was buttery goodness. The pasta itself was a touch too al dente for my taste but still delicious. I wouldn’t be able to pick a favourite between the octopus and bone marrow. Both dishes were amazing. 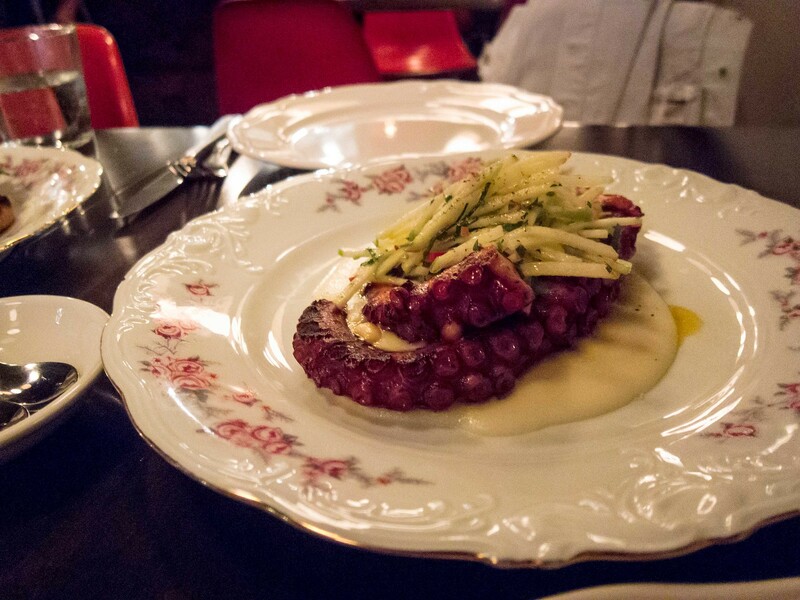 The octopus was tender, perfectly seasoned and I loved the apple slaw. I savoured each spoonful of buttery bone marrow. Our server also brought a refill of crostini that we easily finished up. Assembled on the crostini, the snails added a nice chewiness to each bite and the cotechino provided an acidity to balance the richness of the bone marrow. 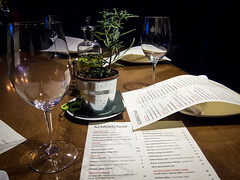 Every dish I had at Porzia was thought out, excellently executed and beautifully presented.